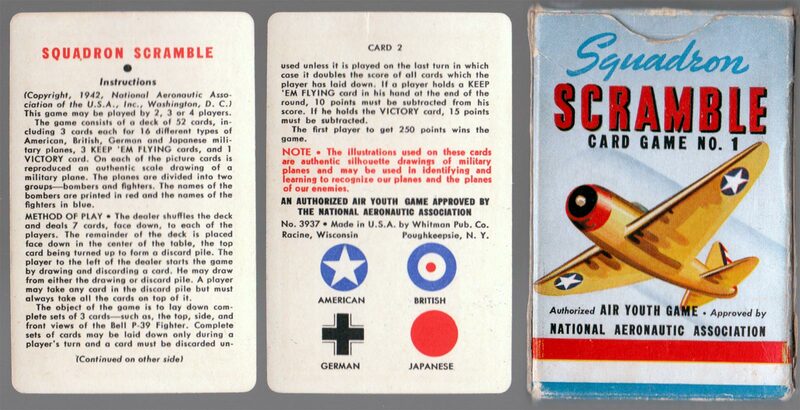 Above: “Squadron Scramble” card game no.1 for identifying military planes, © copyright National Aeronautic Association of the USA, printed by Whitman Publishing Co., Racine, Wisconsin, 1942. 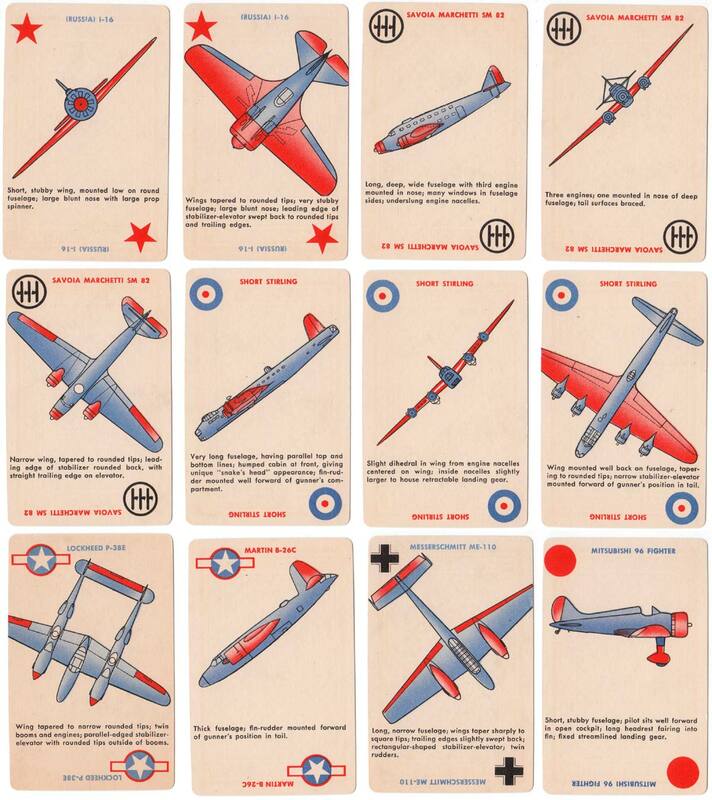 52 cards, including 3 “Keep ’em Flying” cards and one “Victory” card, plus instructions card in box. Images courtesy Rex Pitts. 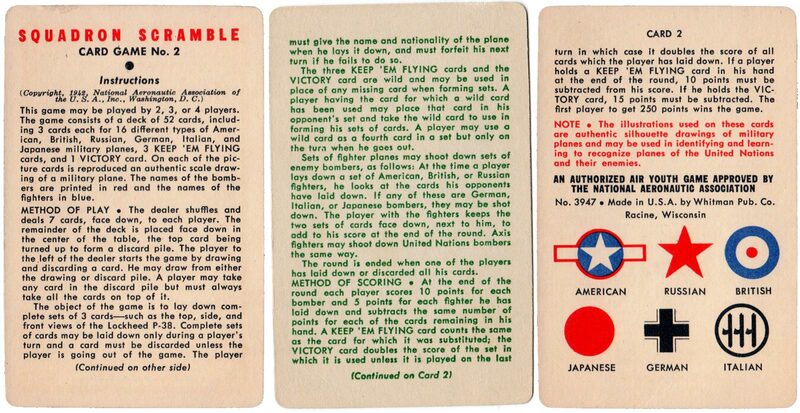 Above: ‘Squadron Scramble’ card game no.2, of similar design to game no.1, but with green backs.